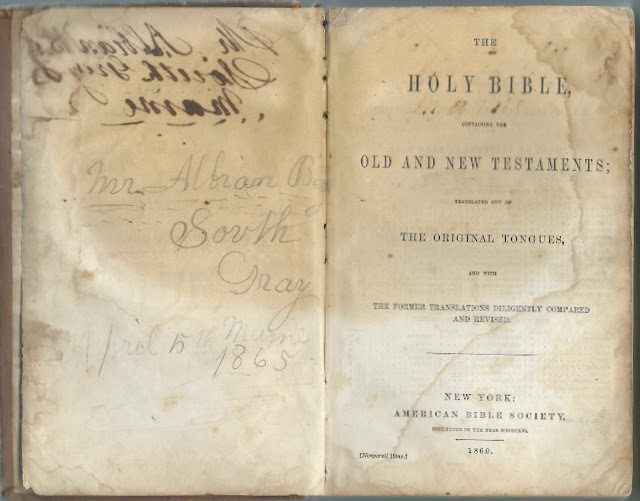 Small Bible that belonged to Albion Berry of South Gray, Maine, before his 1871 marriage to Mercy Ann (Wescott) Berry of East Windham, Maine. 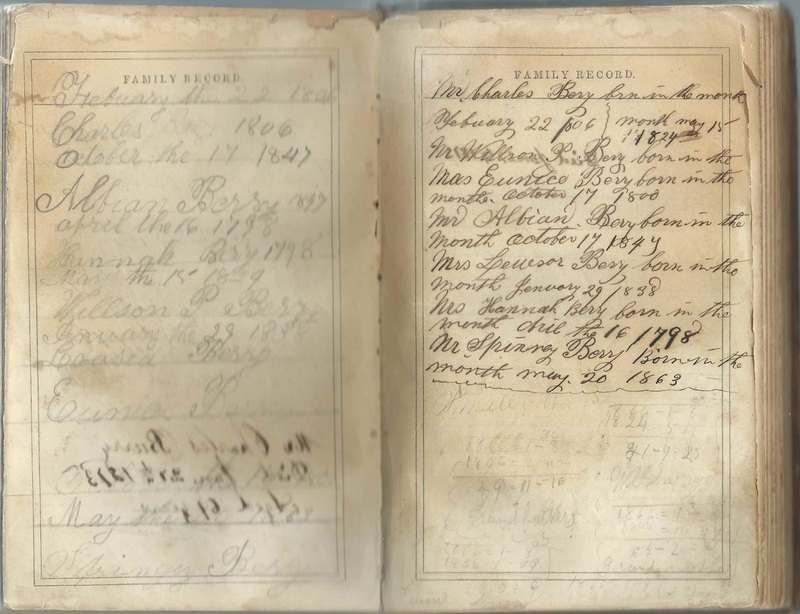 Albion was the son of Wilson Page Berry and Mary A. 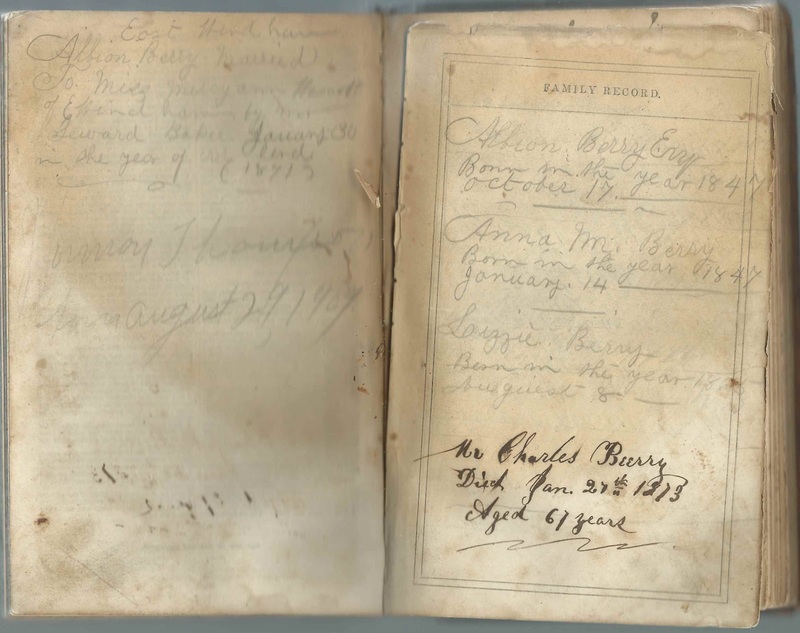 (Wilbur) Berry of South Gray, Maine. 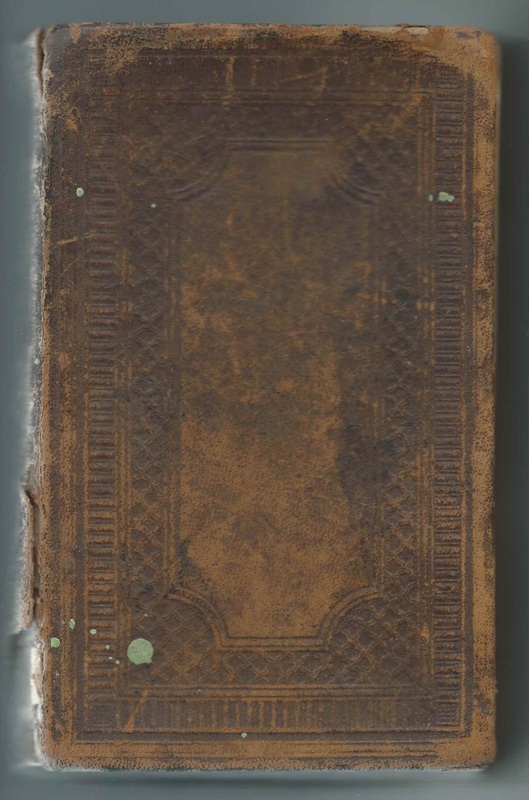 The Bible measures a bit more than 6-3/4" by 4-1/4" by 1-1/2". 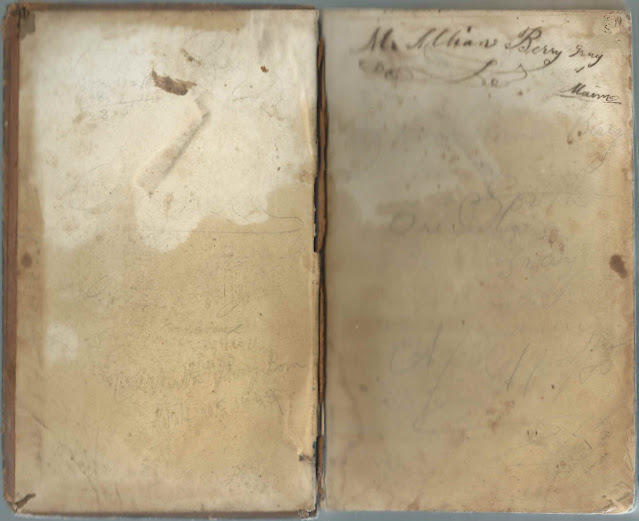 It was Albion, presumably, who wrote on both sides of the first and last end papers. 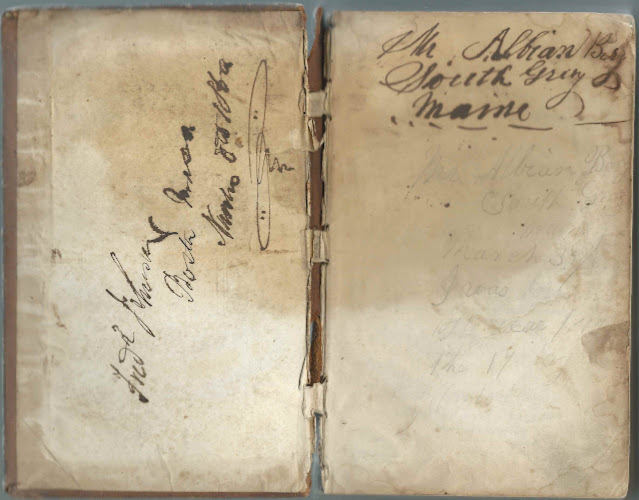 The inside front cover bears the handwritten name of Fred Johnson of Boston, Massachusetts, although I'm not sure of the surname, nor the date, which appears to be November 8, 1860. 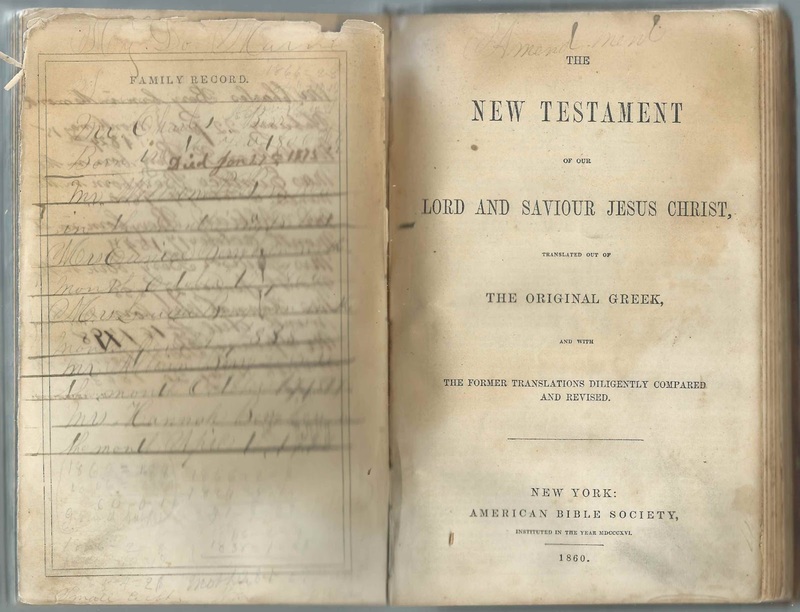 Fred was presumably the original owner of the Bible. The front of the first end paper has Albion's name and address of South Gray, Maine, as well as what I presume was the date he inscribed the page, March 3, 1865, perhaps the day he acquired the Bible, and "I was born in the year 1847 the 17 day of October." The back of the first end paper has Albion's name again, as well as the date April 5, 1865. The Bible was published by the American Bible Society at New York, New York, in 1860. 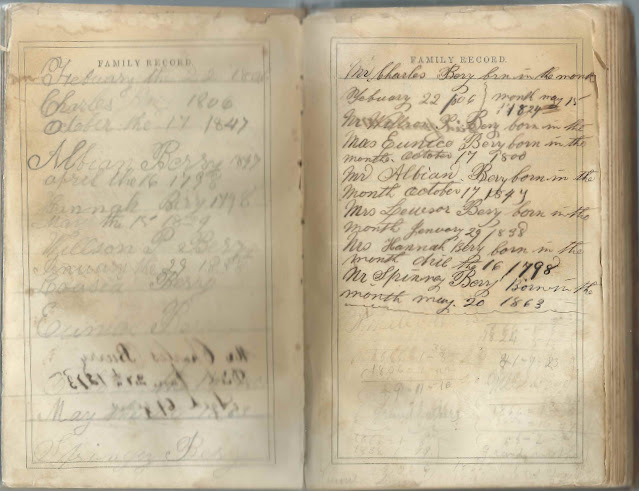 The last of the Family Records pages also repeats information previously mentioned and contains more age calculations. 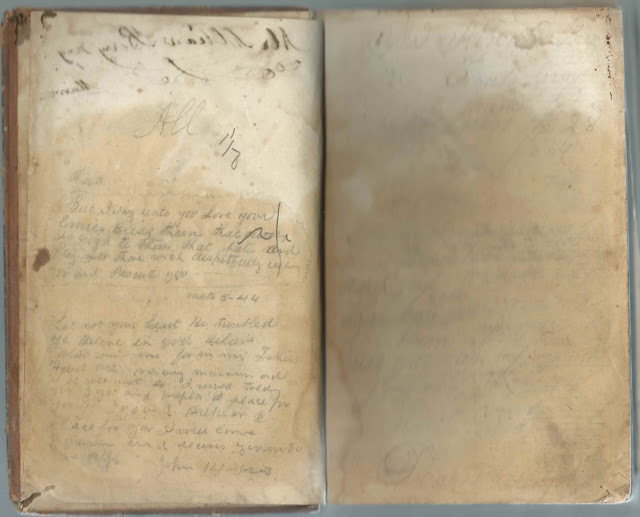 The back end papers contain more handwriting, written upside down, including Biblical verses and Albion's name and address. If you have information to share on the Berry, Wescott, Thompson and Newcomb families, please leave a comment or contact me directly. Great Work Pam! I tagged Berry Group! Where would I find the Berry Group?